Alpine skiers can be surprised to learn that tech bindings essentially suspend your boot in the air above your ski. Your weight is not resting on the ski at all, but rather is supported by metal pins that insert into reinforced holes found on Dynafit compatible ski boots. It can be important to consider just how far off the deck your toes and heels are floating, since this can affect how your weight is balanced over your skis. * Estimate of where heel pins would be. The key number in the above table is pin height delta found in the last column. This number is an indication of how much higher your heel is than your toe. Higher deltas can shift your weight forward on the ski, which can be an unnatural feeling for some skiers. Somewhat counterintuitively, those skiers tend to end up in the “back seat” since their bodies naturally compensate with additional knee flex and backwards lean. While this is an OK position in certain situations, overall it causes poor control, unnecessary knee strain, and tired quads. Now before you go calculating millimeters and adding shims, take a step back to realize there is no “correct” pin height delta. Alpine ski racers are used to aggressive postures and tend to prefer driving from the front seat. Casual powder hounds often like their weight back a bit as they surf through fluff with their tips high. Cross-country skiers tend to prefer an upright stance, and don’t want to be nudged in any direction. Lou Dawson defined a baseline goal to be roughly +12mm delta based on early Dynafit binding models. We think you shouldn't worry too much about a few millimeters. However skier balance is additionally affected by other variables, such as the forward lean of boot cuffs, ramp built into the boot sole, and stock or aftermarket insoles. If all of these variables point in the same direction, it is easy for your balance to get out of whack. This can often be a relatively straightforward fix that involves mounting shims or toe plates under your bindings. If you’re looking for advice on your particular setup, please send us a message. Hi! Came across your article while searching for the bindings. I am actually in a process of buying a light alpine touring setup for my upcoming trip to Denali. Already invested in Atomic Backland touring boots. I am about an intermediate skier (mostly downhill but I also do x-country). Anyway, I am between Dynafit Radical St and G3 ION bindings. Based on your article it seems like G3 ion would be a better binding to buy as it's closest to a magic #12 as Lou points out. But what would be your recommendation? Ciao Lubica, be safe on Denali! Indeed the IONs have a lower ramp angle than the STs. Just posted the measurements on the Radical 2.0s for you, they are a little lower than the 1.0s. I've heard many "magic" numbers that skiers try to target, hopefully you find one right for you. Thanks for the feedback Ron. The screws pass through the binding and shims and into the ski. 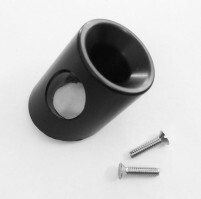 For your target range, the easiest is the B&D 4.7mm classic shims and 23.5mm screws found here. Your site has an amazing amount of info. As far as I can tell, it has everything except riser heights (in mm not degrees as some manufactures list). Dynafit website has no info either. Would love to see the heights listed! Hah, thanks Stan. We have an article just about ready to go with all the riser heights. Send us an e-mail and I can get you the data now. Hi Stan, the riser height info can be found here. A great addition to this chart would be a listing of the boot tech fitting pin height with the boot resting on a level surface. Just found out why the ramp angle inside the boot measures differently on the ski vs flat on the bench. The TLT 5 and 6 fitting pin height is approx. 4mm lower at the heel. The LaSportiva Spitfire 1.0 is 8mm lower at the heel and the Dynafit Zeus is 2mm higher at the heel. This does affect net ramp angle or the total of boot ramp and binding delta expressed as an angle (delta is often expressed as a linear measurement). Counter intuitively, the steeper the forward ramp angle the more one has to compensate to get out of the backseat. This is assuming that the flex and fitting of the boot allows one to flex their ankle functionally while in the buckled boot. Ankle flex and ramp angle work together. Hi Herb, thanks for the input. We actually have a bunch of this data for boots but haven't published it. The problem is it doesn't account for internal ramp within the shell nor sole thickness variation. This means the resting height of the boot fittings isn't a precise indicator of how flat your foot actually is. So, of course, why not do boot board ramp angles. I am sure this is a lot of work but, the effect of ramp angle is extraordinarily underestimated. 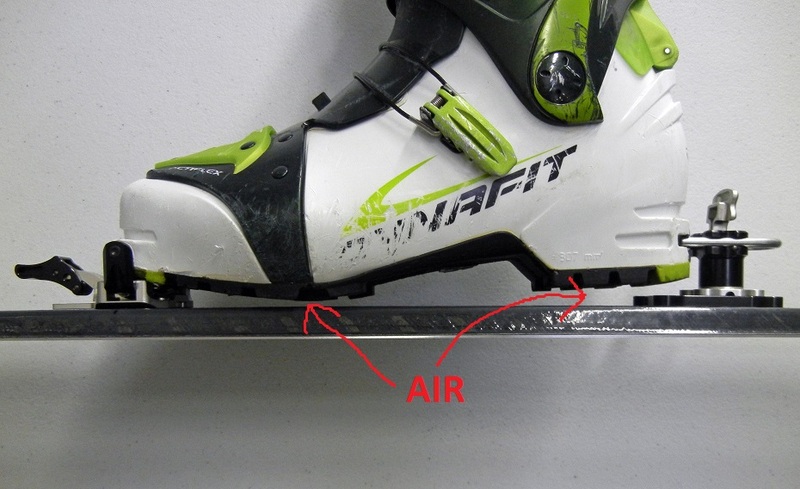 Ski boot makers cannot provide any real data backed by properly researched data for the ramp angles they use. With a major effort I recently proved to myself just how much ramp angle affects skiing. I went from about 9 degrees net ramp angle (5* in TLT5, + 3* Dynafit Speed Rad.) to a NRA of 2.5 degrees. The missing degree came from the difference in boot pin insert heights on my TLT5. When coupled with more room in the cuff to allow for proper functional ankle flex, the results were astounding at the least. Skiing was easier with waaaay better balance, terrain absorption and rarely if ever in the momentary backseat, something I have been fighting for over 55 years until now. Oh, yeah, I also had 3 and 4 degree cants under the bindings, a restrictive liner, and limited cuff flex/ankle flex. It all works together and cannot yield good results if done in half measures or done piecemeal. I know, I tried. So, point is, the more data one has to work with the better the results with fewer hiccups and wasted time. Also the more we all step up to the fact that the ski industry needs to do a lot more research on the human/ski boot/binding interface the sooner they will get the message and step up as well. Publishing binding pin heights is a step in that direction. Information like this should be readily available from the manufacturers but, is not. Why is that? I looked long and hard for good information on functional boot fitting and found The Skier's Manifesto website/blog by David Macphail is by far the best source for real information and answers. Web address is skimoves.me . David has been researching this subject for over 45 years and is still at it and still finding new things such as - ramp angle for some people may be much lower than previously determined. As low as 1.2 degrees in some cases and that it can vary individually but, is never more than 2.8 degrees. Great info on pin heights! Do you know the heel piece pin height of the dynafit superlite c-one binding (the one with +/-12mm adjustment and 4 bolt baseplate)? I can't find any reliable data on it anywhere! Hi James, the heel pins are 37.5mm high. Hi, I’ve been using marker Dukes for years, and I recently mounted g3 ions on the same skis. It feels like I’m falling backwards. I’ve done what I feel is a good measurement and it looks to me like The boot heel is 1/2” higher with the Dukes compared to the ions. Does that sound reasonable or possible? Boots are Dalbello virus tour. I’m in the process of building some heel shims but wanted to check my sanity. Lots of talk about toe shims, but nothing on heels. Think this is the boots or bindings? Thoughts? Thanks so much for all you do on this site and at your shop. Shaka mahalo, bro, this is very helpful. I'm assuming that the pin height for the heel pins is measured to the center of the pin (i.e. 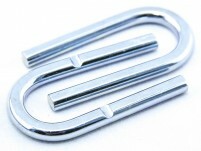 not the outside - top or Bottom - of the pin). Am I correct? Hi Yann, you are correct!